Upper Main street property changed hands last week for $8 million. 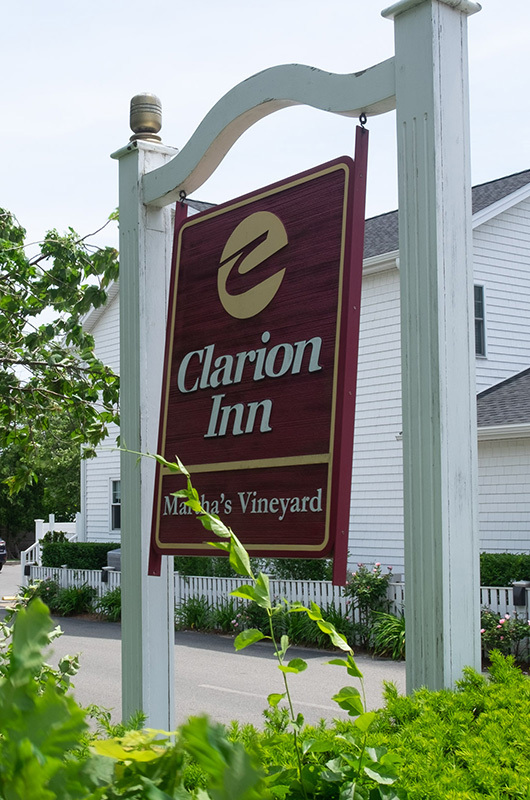 The Clarion Inn and two adjoining commercial properties on Upper Main street in Edgartown changed hands late last week for $8 million. The sale closed on June 15. The sellers are longtime owners James and Deborah Carter of Edgartown. The buyer is MV Edgar Inn, a limited liability company whose principals include David Rosenberg of Newton. The properties, which include the inn, a restaurant and bar currently leased to the Grill on Main, and space formerly leased to Shiretown Meats, were never put on the market. Mr. and Mrs. Carter said the buyer approached them last winter with an offer. They said deciding to sell the business was not easy. “We’ve been there our whole lives every day for 40 years,” Mr. Carter said. “Along your journey in life, when you close one chapter and open a new one, it’s difficult to wrap your head around,” Mrs. Carter said. The 34-room hotel is known as a moderately-priced place to stay. Mr. and Mrs. Carter broke ground on the hotel in 1984 and opened it in 1985 as the Edgartown Heritage Hotel. Three months later, their first child was born. “Our daughter and son both grew up with the business,” Mrs. Carter said. In 2010, the Carters adopted the Clarion Inn brand, a franchise of Choice Hotels. Mr. and Mrs. Carter both said the new owners will be a good fit, but declined to give specifics. “The owners are invested in community,” Mrs. Carter said. They said they look forward to spending more time with their grandchildren. 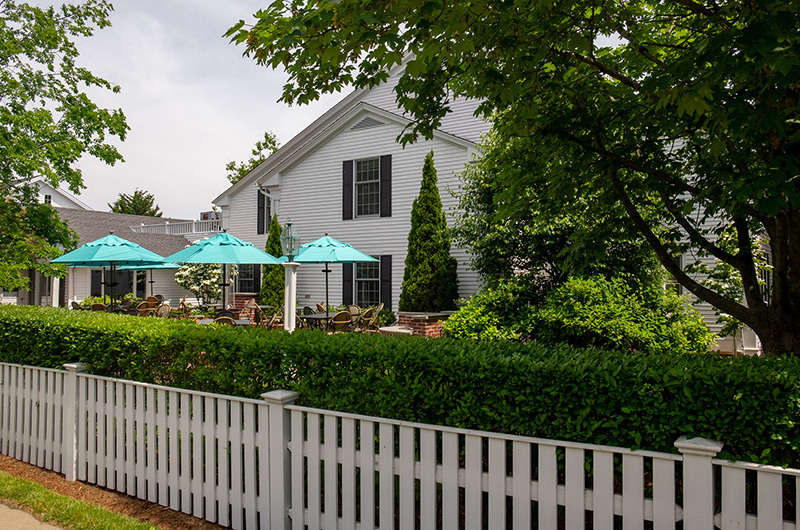 According to Edgartown assessor records, the hotel is assessed at $3 million, the building that housed Shiretown Meats is assessed at $800,000 and the space housing the Grill on Main is assessed at $919,700. The sale sent $160,000 to the Martha’s Vineyard Land Bank, which charges a two per cent transfer fee on most arm’s length real estate transactions. Well deserved for this hard working couple who have put there heart and sole into this business and town. Congrats to Edgartown's newest millionaires. Deb and Jim are a Cinderella story they deserve this happy new chapter of their lives. Hard working and smart , we worked together at the seafood shanty and at their first restaurant the Beef Eater. I’ve never called Jim Jim it’s always been Stick. Ethel ,Sticks mother is on of my favorite ladies. Stick relax if you can get a few Bernese Mt dogs and enjoy a very long life. Debbie enjoy your family to the fullest congrats . I have been coming here seasonally for fifty years. I recall the 1970s battles about McDonalds and Secession. And Jaws (that was funny.) Could someone please explain the logic about chain operators? I thought we all agreed no chain operations. Now I learn the franchise Clarion was approved in 2010. Sorry, how do the Selectmen justify that? (And, btw -- who else agrees the new MVY airport parking arrangement is simply awful?) Congratulations to Deb and Jim. How does the existence of the Clarion flag on this property affect you? Not sure where you got your info from but we have plenty of chain stores. Dairy Queen, Stop and Shop, Vineyard Vines, Black Dog, Jack Wills, and I'm sure I missed a few. Brian -- Vineyard Vines began in Edgartown. (Mrs. Fligor purchased the very first tie.) Black Dog began in VH around 1970. I would guess nearly all true Islanders would celebrate both sets of entrepreneurs and employees for their moxie. Dairy Queen was always presented as the "last of" in the 1970s, as the Island began to adopt regulations, of any type. That was my point -- leadership back then said no more chains. (For those not aware, there was zero zoning of any type before (I think) 1972. Build whatever, wherever, no setbacks, no acreage, no limits.) The others you mention are more to my point. Why does the Island leadership continue to allow low value added chains like Jack Wills, Lululemon? Why does the Island leadership allow big outfits to purchase our institutions (Rockland and Edgartown National)? Folks -- it's only unique and original once. Don't lose the character that made MVY the haven so many enjoy and the golden goose so many want to destroy. Franchise agreements with hotels don't equal chains. The Clarion (disclaimer, I've never stayed there) is an independently owned hotel that uses Clarion's reservation system and branding. Even Cronig's is part of a "chain" - they use Star Market as their wholesaler (I believe that's still the case) and Star for decades prepared their circular for them. Martha's Vineyard has plenty of brands that are nationwide chains in one form or another. What isn't there are generic franchises that are the same everywhere, and that's part of what makes the island a special place. Will there be any disruption to reservations ? I would like to stay there in October as I have done in prior years. More time for roller-skating, Debbie! Congratulations, and enjoy your retirement. Couldn't be happier for you Deb and Jim! Congratulations! Your hard work has earned your retirement and couldn't have happened to a better couple! Best Wishes! Way to go Jim and Deb. Enjoy your retirement.